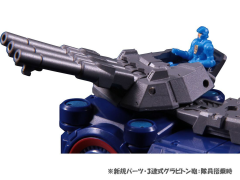 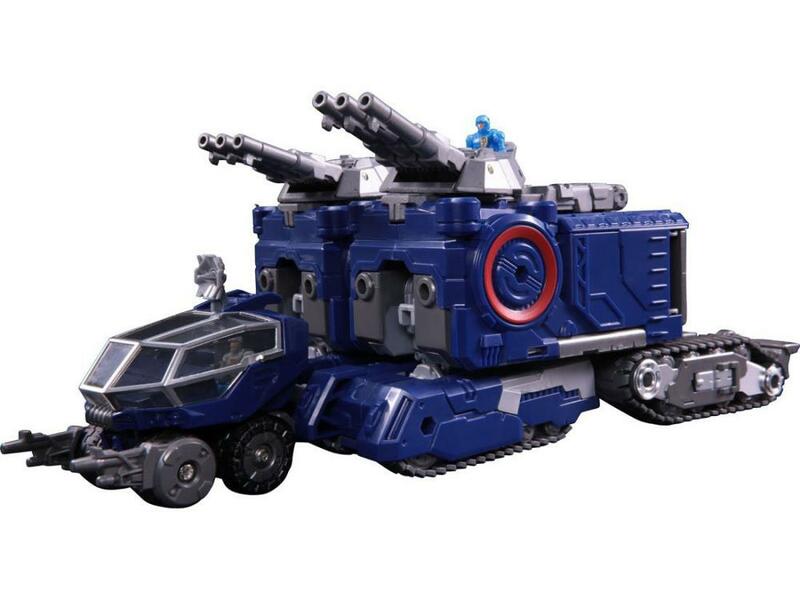 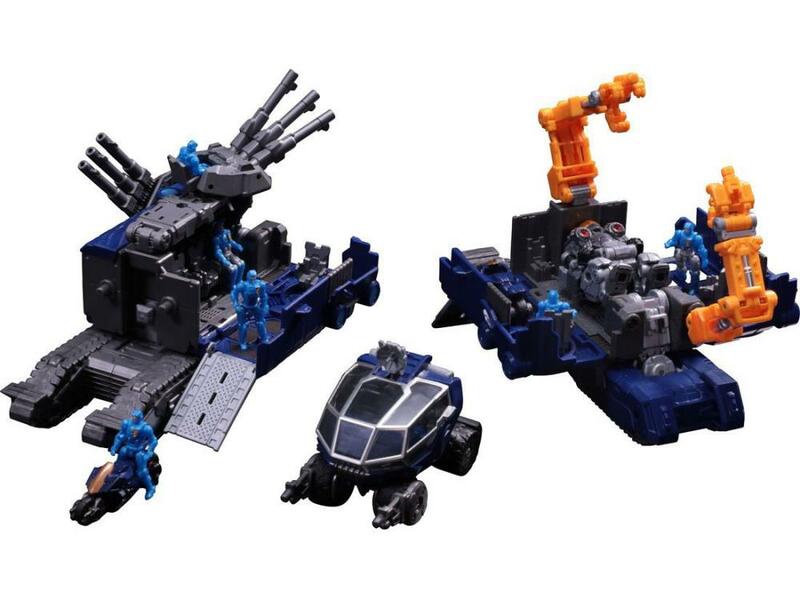 This massive trailer is ready to help your Diaclone troops and weaponry move into battle! 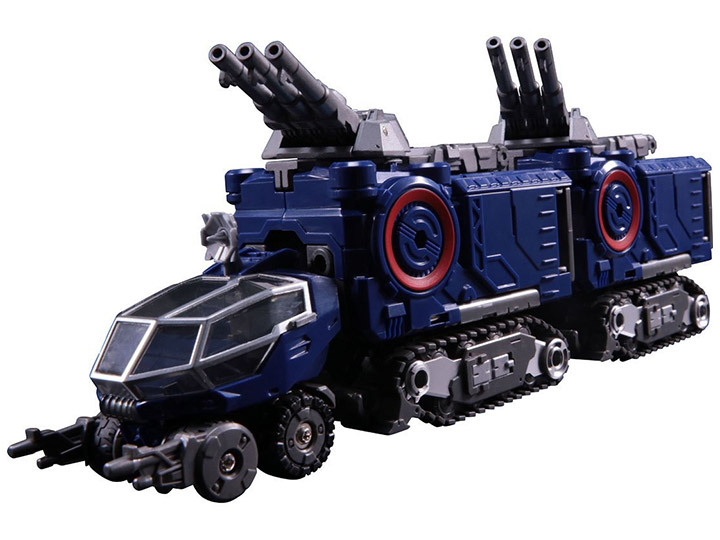 It's a massive 12.60 inches long and can be combined with the DA-14 Big Powered GV to form a huge battle robot! The brand-new turret includes two sets of triple graviton cannons, and two sets of seats to transport your troops. 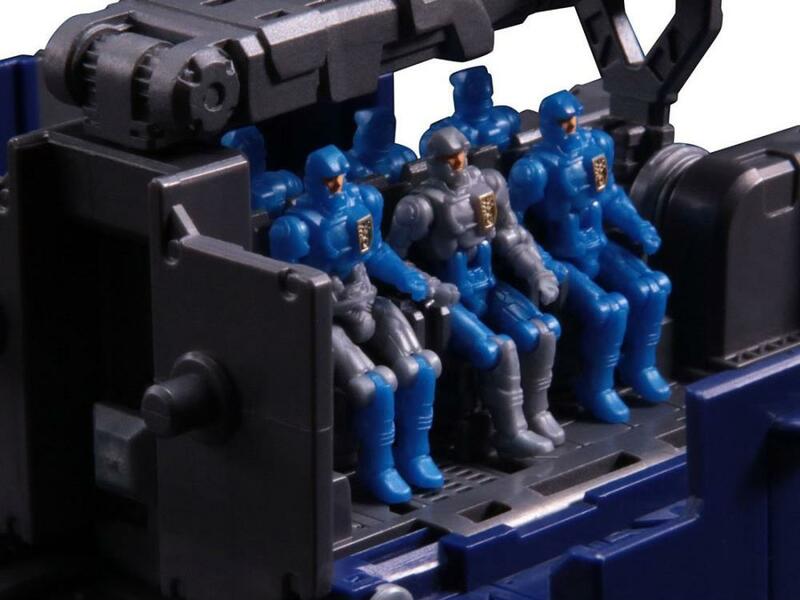 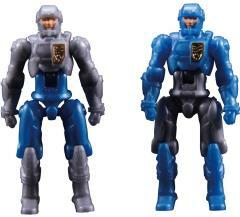 (two troopers are included).